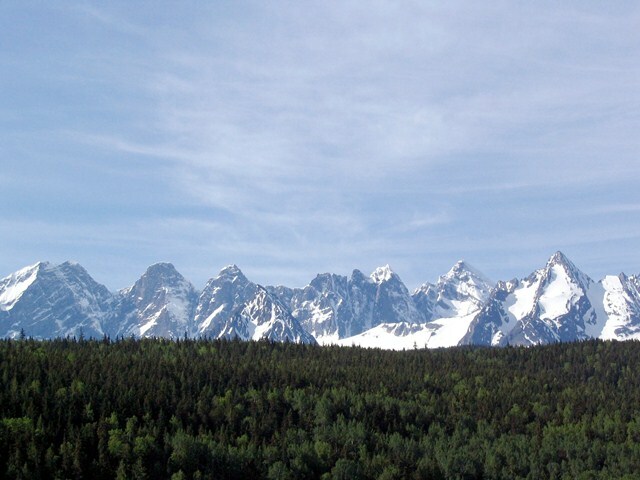 Mountain Views | British Columbia ROCKS! 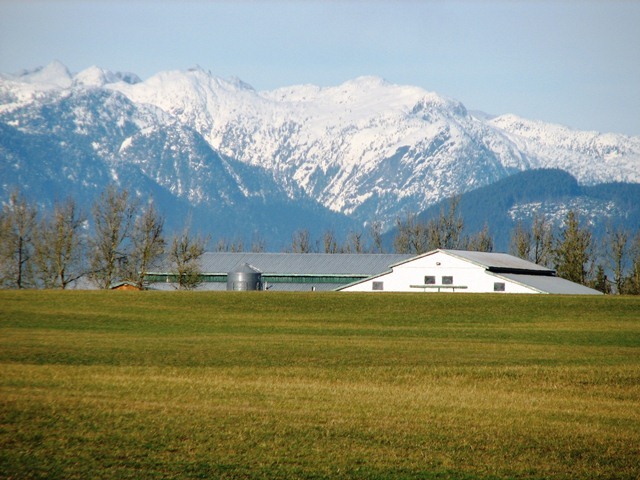 Nearly any area of British Columbia that one travels in, you can find a wonderful view of the areas local mountains. Magnificent scenery is all around us. Take a break and enjoy it! Sometimes what we take for granted is pushed back, almost out of sight. In this fast paced life we all need to stop and smell the coffee and look at the mountains that provide the backdrop that makes this such a beautiful place to live. 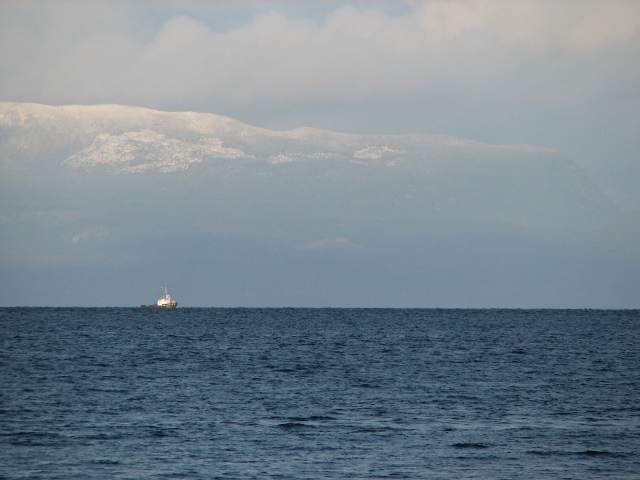 Even when at sea you can see the large Coast Range mountains that seem to border the Province along most of our coast. 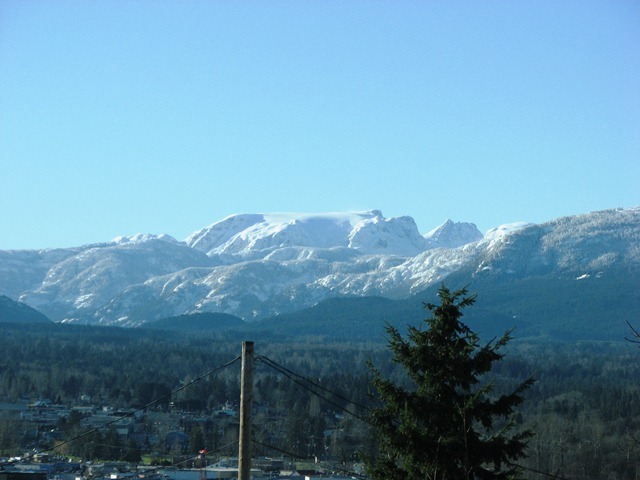 In most areas of BC one can view mountains anywhere! Not many places allow you to view Glaciers! We have many glaciers but to see them it is usually a long and arduous journey. This one is close by on Vancouver Island. 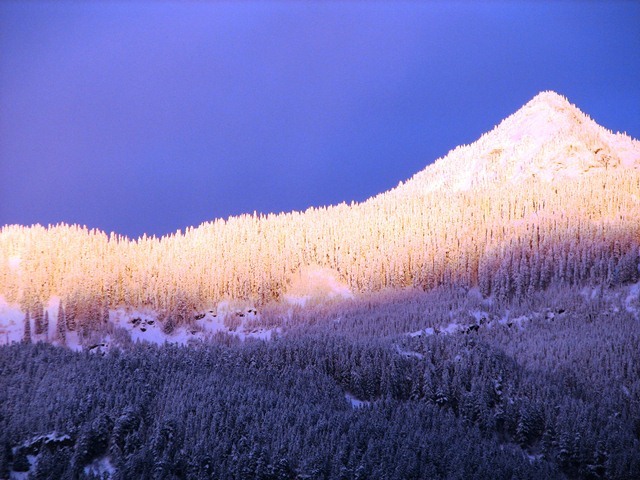 This is the most prevalent mountain viewed from the Fraser Valley. It is an awesome sight! The trip to Stewart is one you should take if you have the chance. 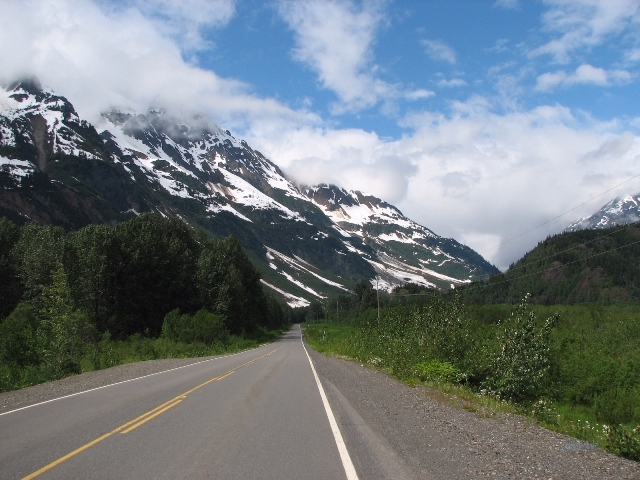 You enter a tight valley with high mountains topped with glaciers. The Bear River flows fast beside you most of the way into the community. The landscape is full of wildlife and one should be cautious as bears are all over the place and not too timid at times. Truly a wonderful sight in person. The entire drive through this area of BC is awesome but when you view this range, breath taking! 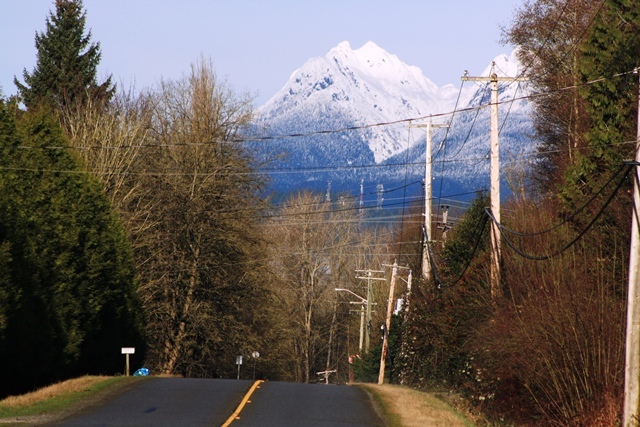 Golden Ears Mountain, in Golden Ears Provincial Park is one you can actually get close to. There are campgrounds near the area and a network of short and long hiking trails that lead up to some pretty high areas. Enjoy BC. Plan to view more of it this summer, you will not be disappointed! This entry was posted in British Columbia and tagged Beautiful BC, hiking, mountains, Stewart, summertime, sunsets, Tourism, travel, vacation. Bookmark the permalink. 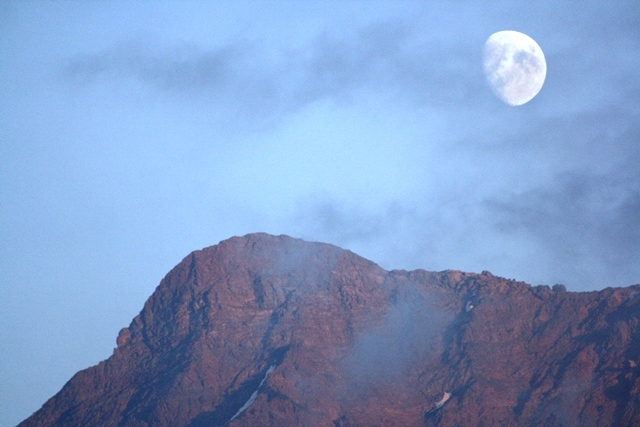 I loved the photo with the moon that looks 5 times larger than the sun! Every once in awhile there are opportunities such as this to photgraph the moon when it appears larger than normal. Thanks for the comment Traci, it is appreciated! Sunset in the Fraser Valley is awesome! Glad you came by and liked my post.